A world of dreamy hills, enchanting pathways, and unspoilt natural beauty awaits you in Kodaikanal. Branded as ‘Queen of Hill Stations’ in South India, Kodaikanal is the perfect destination for a two-day trip, away from the hectic city life. A chance to rejuvenate in soothing caresses of silent mountains. The best way to enjoy Kodaikanal is to follow an itinerary that covers the best sightseeing, top-rated local eateries and fun-filled activities that will enable you to experience the best of the hill town. Our guide will do just that, hop on! Upon reaching Kodaikanal, settle in your hotel room. We recommend you book a stay in a hotel near Kodaikanal Lake or Coaker’s Walk. These areas are at a walking distance from all major tourist sites in Kodaikanal. A cosy wood-panelled restaurant that makes authentic, flavorful coffee and delicious snacks and cakes. Their carrot cake is yummy. Enjoy a yummy breakfast spread with awesome music in the background. Head to a brisk (or leisurely) walk on Coaker’s Walk, a walkway which presents the best valley and mountain views drenched in mist and fog. Take a long walk accompanied at times by fellow tourists, don’t expect a lonely trail. Check out the views up, close and personal at the telescope house. Explore the star-shaped man-made lake through the most touristy thing to do in Kodaikanal, boating at Kodai Lake. If you want to skip the boating, just walk around the long 5-km pathway around the lake, or go biking around it. In any case, you will find yourself surrounded by the tourist fanfare at Kodaikanal’s topmost attraction. Stop by at Bryant Park to check out its spectacular botanical garden. Walk around the paved pathways and pay a visit to the glass house and rose garden. Go to the park if you’re visiting with family or are deeply interested in horticulture, botany, and flora photography. Otherwise, give it a skip. A charming, home-style restaurant to have a scrumptious meal. The cafe serves good continental fare along with pastas, burgers, and Indian street food. The ambience is simple and the food is finger-licking. Ideally, you should’ve been done with everything mentioned above by 2 pm, that’s the ideal time to start the Dolphin’s Nose trek for unparalleled views in Kodaikanal. Take this moderately easy trek to reach the summit cliff which is shaped like a dolphin’s nose. A few paces ahead lied Echo Rock, yet another spectacular viewpoint. The trek (both ways) will take you around two to three hours. Visit the oldest church in Kodaikanal, made in the French style. The temple is set in a stunning location, atop a hill, surrounded by beautiful views of vistas nearby. The interiors, as well as the outer architecture covered in blue and white, are pretty. Visiting an ancient church in the middle of a hill station is a uniquely uplifting experience. Buy mouth-watering homemade Kodai chocolates at 7 Junction Road and Bazaar Road, try Kiki’s on PT Road, or Kodai Chocolate Factory. Jacob’s is a good place to buy spices, natural oils and chocolates all under one roof. You can also visit the Spices Corner. 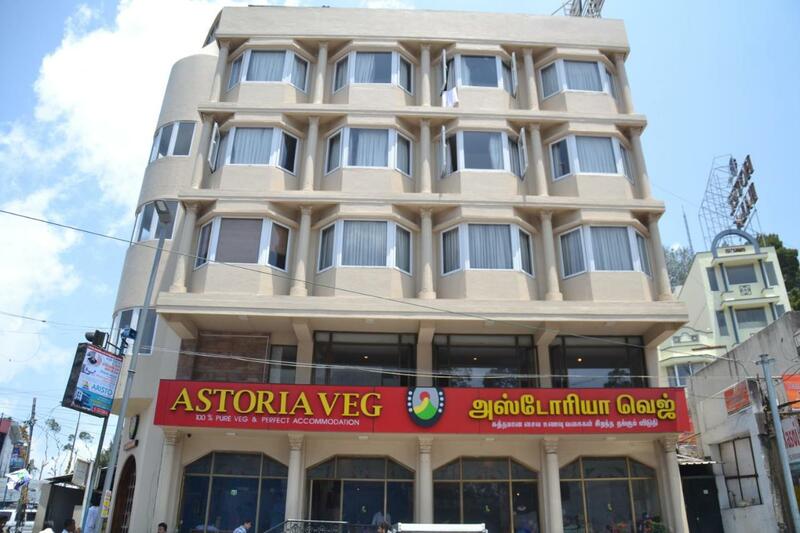 One of the top-rated vegetarian restaurants in Kodaikanal, even hard-core non-vegetarian eaters love eating here. The place serves good south and north Indian dishes, from farm fresh vegetables and spices, at reasonable prices. Visit for a wholesome meal after a tiring day. Head on to nature-inspired treks, forests and lakes on your second day in Kodaikanal. We recommend that you start early with the complimentary hotel breakfast as you’d be heading on a short road trip on your first stop which has no eateries. Take a road trip to Mannavanur Lake, one of Kodaikanal’s best-kept secrets. It is a serene, uncrowded lake nestled in beautiful landscapes. Walk along the pristine lake bank, take beautiful pictures and enjoy a short coracle ride in its waters. Check out the nearby sheep and rabbit farms. The trip, to and fro, will take around three hours. Enjoy a wholesome meal at Kodaikanal’s best green cafe which serves rolls, burgers with homemade sauces. Try their waffles, cakes, milkshakes, noodles and fries. Everything on the menu tastes fresh and delicious. A picturesque forest abundant with tall, imposing pine trees, the forest is a must visit for an enchanting jungle walk. A place where many south Indian movies are shot, the forest trail is full of majestic sights. Take plenty of photographs here and enjoy a quiet walk amidst mighty trees. An essential sightseeing spot for anyone who visits Kodaikanal. Pillar Rocks are a group of vertical rocks shaped like huge pillars. The trek is not too difficult, but exercise caution while climbing slippery rocks. There are many shops to stop at along the way to have tea. The views from the summit are breathtaking. The chambers that are formed between pillar rocks are the spooky and dangerous Guna Caves. For some adventure during your trip, visit the caves. The caverns are narrow and eerie. The locale is surreal due to the spooky roots of trees around. The natural heritage site is called The Devil’s Kitchen so be careful while treading, you might fall and hurt yourself. A bustling street shop where you can buy amazing shawls, woollens, handicraft items, wooden and brass souvenirs and a whole lot of jewellery and trinkets. Buy interesting curios and antiques at Corsack, a cottage craft shop, the proceeds from which go towards the upliftment of underprivileged. Stop by at the Potter’s Shed on PT Road for locally handcrafted cups, mugs and plates that are simply adorable. Enjoy a full dinner at Cloud Street, a popular eatery where you can enjoy their famous wood oven pizzas. It’s a cosy restaurant with attractive decor. Try their Italian fare, sizzlers, salads and burgers. It is one of the top three restaurants in Kodaikanal. That concludes the list of things to do and see in Kodaikanal on a 2-day trip. Visit each place to indulge in the best of Kodaikanal’s wonders. Leave comments below.